The office is open 9.00am to 5.00pm Monday to Friday. 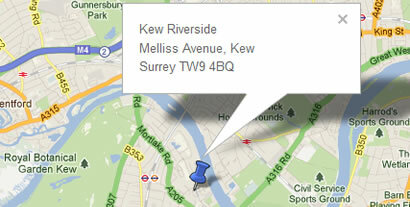 Kew Riverside is a prestigious riverside development of apartments, town houses & detached houses. Located on the south bank of the River Thames, we are situated between Kew Bridge & Chiswick Bridge.